If you would like to donate to the Banchory Men’s shed, firstly, thank you very much. We have a myriad of ways for you to help! 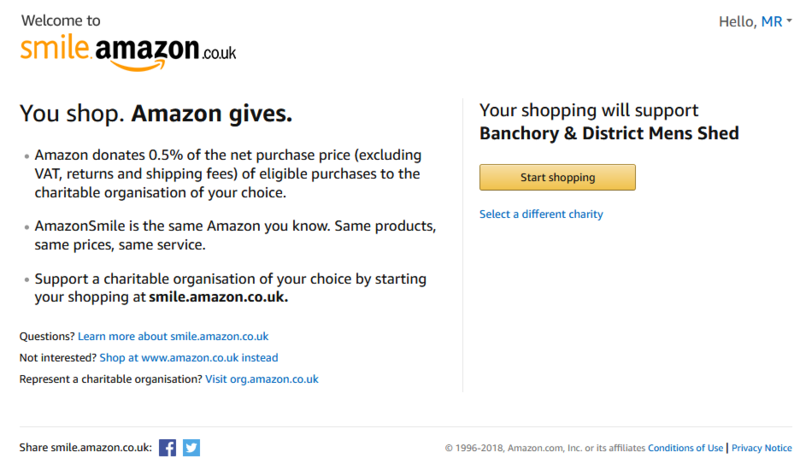 First time through you will be asked to confirm your login details as normal, but after that if you alays go to the Amazon Smile page (bookmark it) instead of your normal Amazon start page, then BMS will received 0.5% of your pre-VAT purchase price. Once you have logged in via Amazon Smile, the rest of your shopping experience is identical with your normal Amazon shopping, just that you will also be helping us. Thank you! Tesco Bags of Help – Banchory Men’s Shed scheme ended on 30th June 2018. 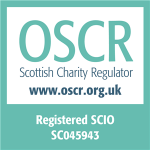 Thanks for your help – please continue to support the other charities currently in the scheme. Just Giving – Our “Just Giving” page is no longer. We would like to express our deepest appreciation for all funding and sponsorship offers, both received and yet to come. There have also been a number of individual donations. Apologies if we have left anyone out but unfortunately it’s not always possible to keep up with everyone. Thanks also to Paul Evans for his “sterling” work 😉 in applying for a number of these grants.